Publishers Weekly reports today that online booksellers account for 30.5% of book sales, chain book stores 32.5%, discount stores (like Wal-Mart and Costco) 13.5%, independant booksellers 8.7% , grocery stores 3.7% and author/publisher websites 1.8%. The article states that combined internet sales (32.3%) could overtake big chain bookstore sales soon…but it seems to me that they still have a ways to go to eclipse the share claimed overall by brick-and-mortar sales (which now account for 67.7% of sales). wife/girlfriend he can’t let go of, but somehow it plays a lot better in the wild west than it does in present-day Massachusetts. The book, which comes out in June, left the door wide open for a sequel and I’m looking forward to it. This following is actually old news…I only stumbled on it today. CAGNEY AND LACEY executive producer Barney Rosensweig told Publishers Weekly back in August that he now regrets publishing his terrific book about the making of the show through iUniverse. I know how he feels from first-hand experience with iUniverse. I reprinted my book UNSOLD TELEVISION PILOTS for free through the Authors Guild’s Back-in-Print program with iUniverse shortly before the broadcast of the one-hour, ABC Special based on the book. But even with that national exposure, and lots of articles in major newspapers and magazines that mentioned the book, the sales barely ticked up from the usual handful of copies I sell each month. That’s the reality of POD. ASSIGNMENT CARLOTTA CORTEZ by Edward S. Aarons (who, I discovered today, wrote some TV tie-ins based on THE DEFENDERS). I think, all told, I spent about $70. A perfect day. Amazon won’t carry any print-on-demand books unless they are produced by Booksurge, the online site’s own POD printer. This is clearly an attempt by Amazon’s Booksurge to steal market share from their arch rival Lightning Source, which produces the majority of POD titles for companies like iUniverse and PublishAmerica. Amazon/BookSurge representatives have been approaching some Lightning Source customers, first by email introduction and then by phone (nobody at BookSurge seems to want to put anything in writing). When Lightning Source customers speak with the BookSurge representative, the reports say, they are basically told they can either have BookSurge start printing their books or the "buy" button on their Amazon.com book pages will be "turned off." The book information would remain on Amazon, and people could still order the book from resellers (companies that list new and used books in Amazon’s Marketplace section), but customers would not be able to buy the book from Amazon directly, nor qualify for the coveted "free shipping" that Amazon offers. An Amazon spokesperson explained that the new policy will allow the company to "marry" books with other products that a customer might buy at Amazon, which would be combined in the same package. She said for publishers that don’t use BookSurge for pod, they can still use Amazon’s Advantage Program (which works on a consignment model) or third party vendors to sell their pod books. 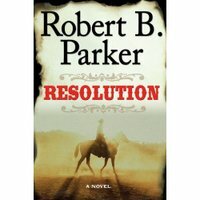 As of Thursday, the "buy" buttons for the vast majority of PublishAmerica books were removed from Amazon.com. The books can now only be purchased by resellers. PublishAmerica issued a press release today that states, "PublishAmerica will not comply with Amazon’s ultimatum, and will not allow that company to dictate who will print PublishAmerica’s books, and at what conditions." I can’t say I’m shedding any tears over Amazon’s attempt to corner the POD market…especially if it cuts into the profits of scammers like PublishAmerica. If the POD scammers can’t promise suckers that their books will be listed on Amazon, this will seriously undercut their ability to lure gullible, aspiring authors into the fold. Why? Because "resellers" are highly unlikely to stock POD vanity press titles…which means only the vanity press websites will be selling them. Why is this a problem for POD titles? Well, how often do you visit the PublishAmerica bookstore when you are looking for books? There’s your answer. (Thanks to Joshua James for the heads-up). UPDATE: Predictably, the vanity presses are screaming about this, accusing Amazon of attempting to create a "monopoly" and engaging in "restraint of trade" and "anti-trust" activities. I don’t get it. Sure, it’s a strong-arm move to boost Booksurge’s business…but how has Amazon created a "monopoly" or engaged in "anti-trust"
them in their free shipping program. aren’t that many consumers of POD books to begin with. 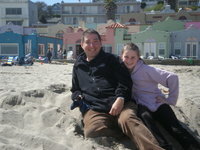 I just got back from our whirlwind road trip through central, northern, and coastal California. 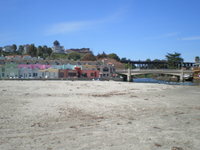 Along the way, we stopped in Capitola, where I spent most of my weekends as a child. 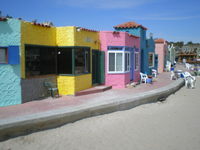 The cabin we used to stay in (the yellow one), and the beach haven’t changed much. The village is much more "upscale" compared to the shabby, hippie-dippy feel it had in the late 1960s and early 1970s when I was there but I was relieved to see that it hadn’t lost any of its charm. It’s basically the same as it always was. I sat on the beach and watched the kids playing. They were about eight or nine years old. I could have been looking forty-some years back in time at myself and my friends. I know it’s a cliche to say this, but it seems like it was a much more innocent time when I was growing up…or maybe we were more naive. I’d have breakfast with my parents and then they wouldn’t see me again until dinner, unless I was playing on the beach or in the river. Otherwise, I’d roam freely all over town, visiting the used bookstore, shopping at Disco (a Wal-Mart type store in its day), playing with my friends, having an ice cream at the Dairy Queen, walking to the Crockers in Soquel for a cheeseburger, or looking at the magazines at Nussbaum’s grocery store. Some times I’d run into my Mom, who would be shopping for antiques, chatting with the artists at the galleries, or browsing the clothes at the Plum Tree. My Dad always stayed outside the cabin, reading books or chatting with the neighbors. Even at night, we were allow to go off on our own to play Skeeball until 9 pm. for my daughter…but I doubt it. When I think of the freedom I had when I was my daughter’s age and younger…and, by contrast, how much we supervise her….I wonder if times have changed or if I am being over-protective. carefully plotted, and they’re poignant. They probably have other good qualities, too, but those should do for starters. Sorry I haven’t been posting — I’ve taken my family on a road trip for Spring Break. So far we’ve been through the California Gold country (which is like taking a time machine to the 1800s), Yosemite, and Lake Tahoe. Tonight we are in Sacramento…and tomorrow we head out to Napa. It’s great to be rediscovering my home state…and for my wife and daughter to discover it anew.